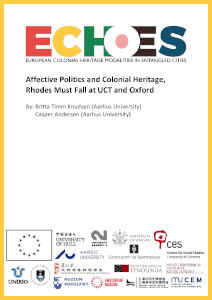 Please find below a digital repository of ECHOES deliverables – papers, articles, peer-reviewed publications, books and other media produced by the Team. Click on the miniatures to view the files. With input from ECHOES colleagues as listed in the Table of Contents.